Keys to the Kingdom Tour - Walt Disney World - behind the scenes at The Magic Kingdom at Walt Disney World. 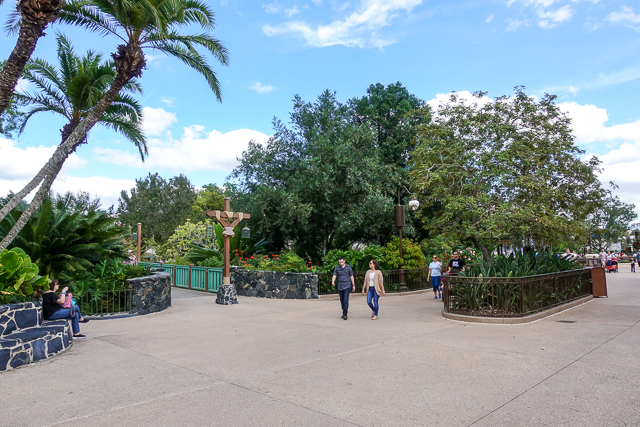 Learn fun tidbits about the park and Walt Disney and go in the TUNNELS under the park! The highlight of our trip! On our last trip to Walt Disney World in November, we did something we've never done before. A TOUR!! We signed up for the Keys to the Kingdom Tour at the Magic Kingdom. It was a 5-hour walking tour around the park, and we even got to experience the underground tunnels! It was the highlight of our trip. The tour is for adults only. They don't want to spoil the magic for the kids! We didn't see anything that I thought would spoil the magic though. The tour was more interesting facts about the park and Walt Disney himself. We couldn't take pictures in Cast Member only areas. I wish we could have! The tunnels were so interesting. We also got to see where they store the floats for all the parades. It was really neat. 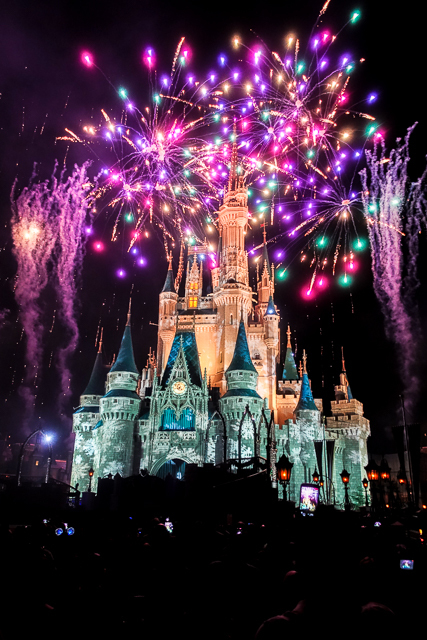 Walt Disney built The Magic Kingdom to be a show. The train station is the curtain. The train station and the Theatre are only buildings at on Main Street built to scale. They are built to scale to hide the view of Cinderella's Castle from the outside of the park and the Contemporary Hotel from inside of the park. Look at the photo - no castle. 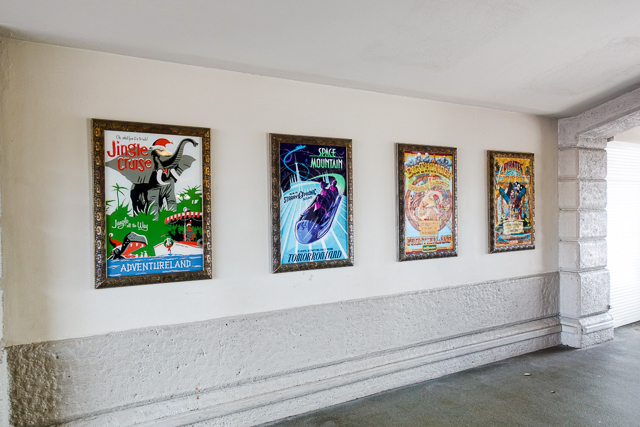 The posters as you walk through the station on to Main Street are the "Coming Attractions". 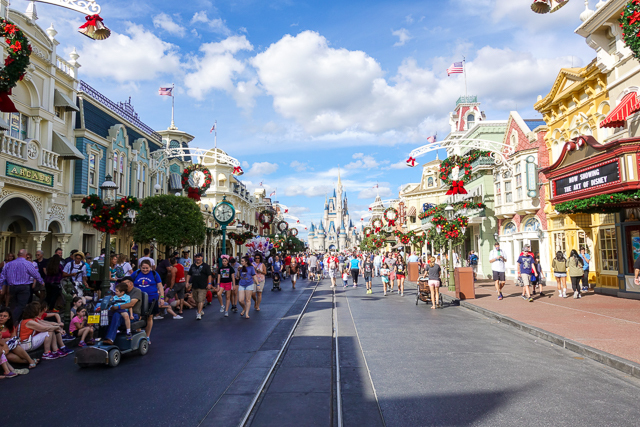 Main Street USA was built with a forced perspective. The buildings get smaller as you go towards the leading lady - Cinderella's Castle. It makes the castle look bigger. 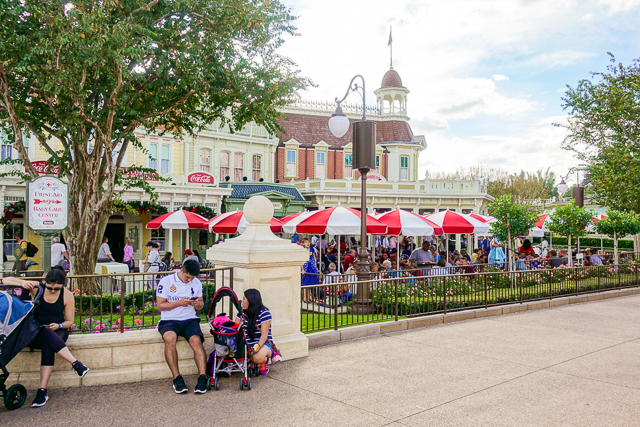 When you walk down Main Street - refreshments are on the right and souvenirs are on the left. Americans typically walk on the right so there are refreshments when you arrive at the show and souvenirs when you leave the show. See those Christmas wreaths on the light poles? They are 5-feet in diameter! It takes 2 hours to take down all the Halloween/Fall decoration. It takes 400 people and 48 hours to fully transform the park to Christmas!! The flag poles at the top of the buildings are actually lightning rods. The flags are actually pendents - they are missing some stars and stripes. If they were real flags, they would have to raise and lower them daily. 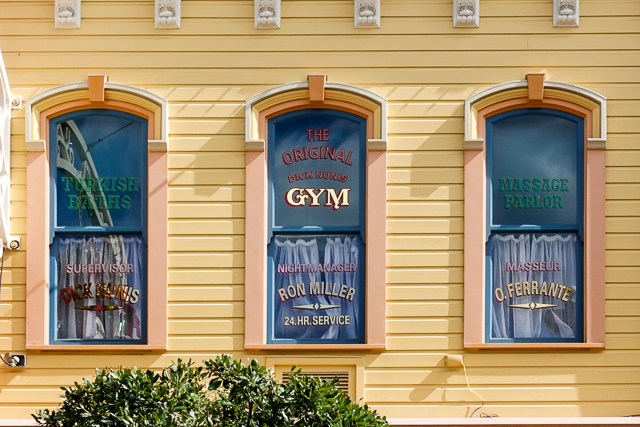 The shows credits on the top windows of each building on Main Street. 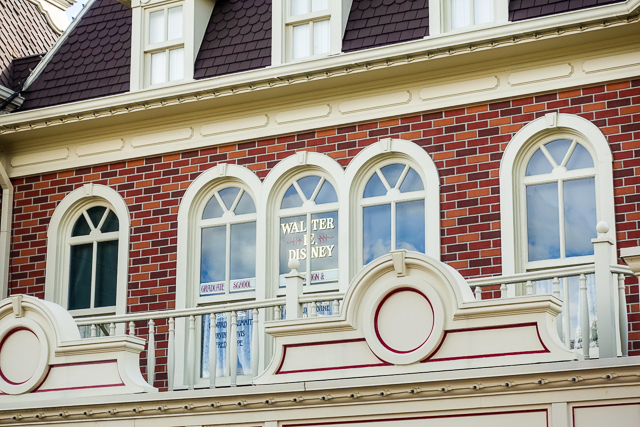 The names are people that contributed to Walt Disney World. It is a huge honor! M.T. 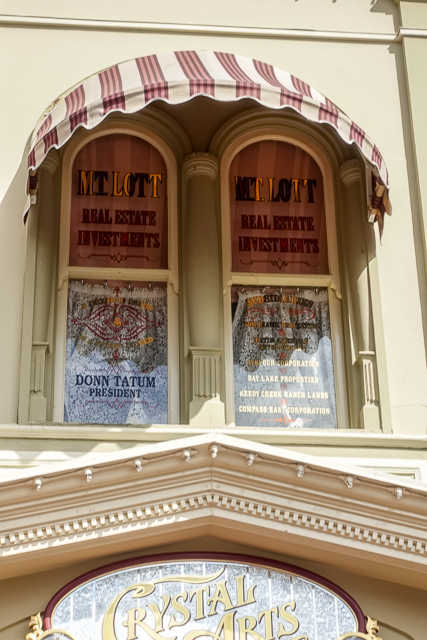 Lott is the company that Walt Disney created to buy the land in Florida that became Walt Disney World. He secretly bought swamp land in Florida for $180/acre until a reported figured out who was purchasing the land. 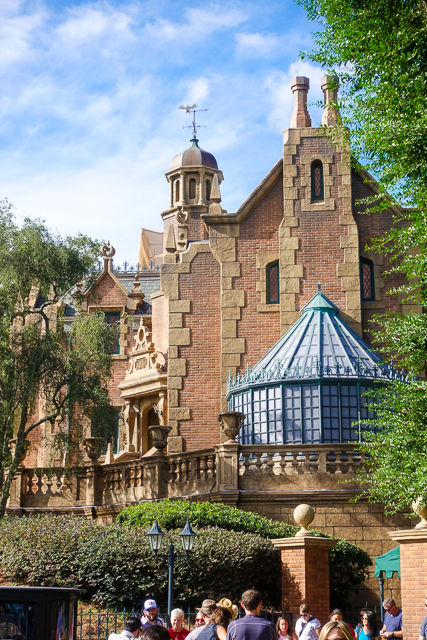 Once it was known that Walt Disney was buying the land, the price went up to about $180,000/acre. Luckily, he only had to purchase a small amount of land to finish out the planned area. 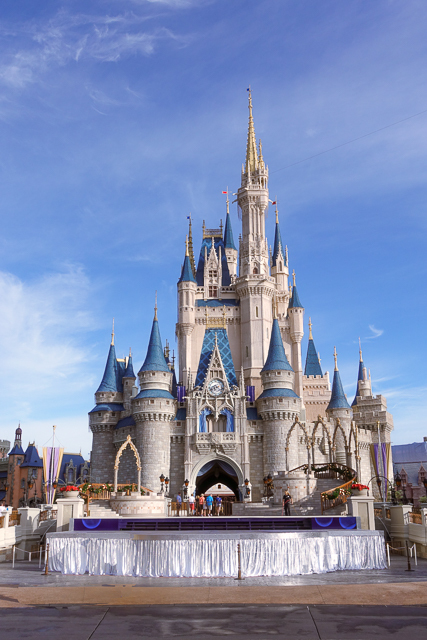 Disney World is 43 square miles - the size of San Francisco. They have enough available land that they could double the size of the parks. They are currently using the land for conservation. When Disney World first opened they sold tobacco. 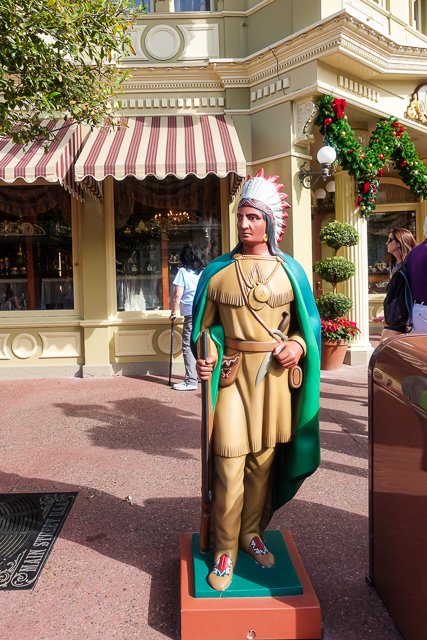 The Indians indicated where in the park you could purchase tobacco. So wherever you see an Indian, that is where they used to sell tobacco back in the day. There is a trash can every 20 to 30 feet. You should be able to see two trash cans at all times. Do you know how they determined where to put the trash cans? Walt Disney liked to say goodbye to the guests as they left Disneyland. He would hand out hard candy to everyone and watch to see how long it took them to drop the wrapper on the ground. That is how he determined where to put trash cans. The red and white umbrellas indicate the First Aid Station. It makes it easy to give directions - go to the red and white umbrellas and go right. 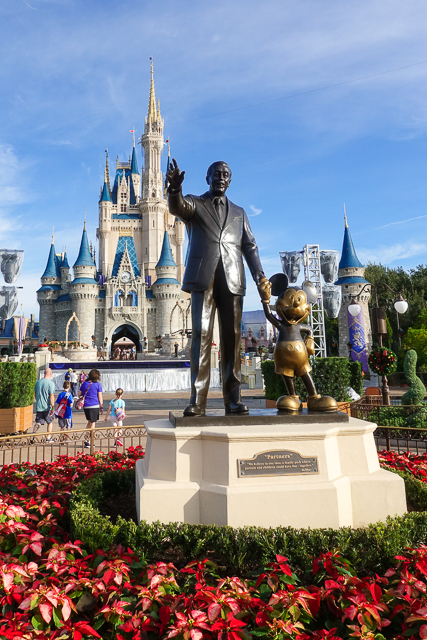 Walt Disney died before the Magic Kingdom was complete. 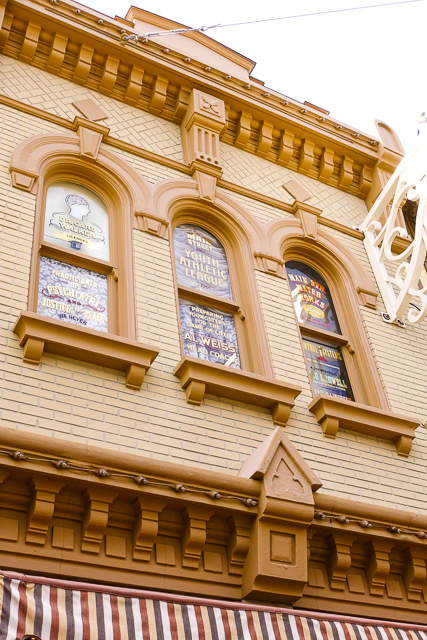 They put his name on the window facing Cinderella's Castle so he could always see his creation. There are only two characters that Disney Photographers won't take your picture with. Mary Poppins and Terk from Tarzan. Disney doesn't own the rights to those characters. 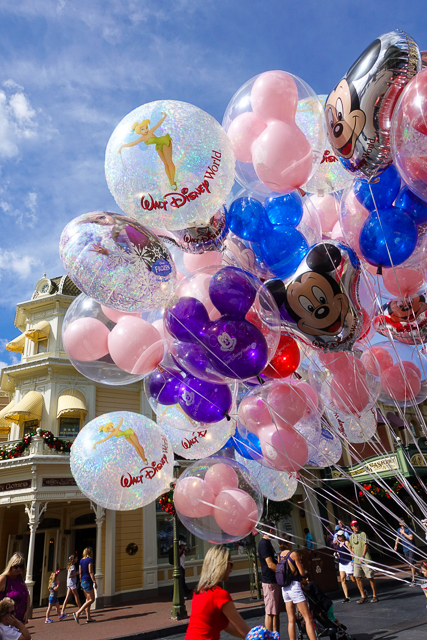 You can personally take pictures, but Disney can not sell you photos with those characters. 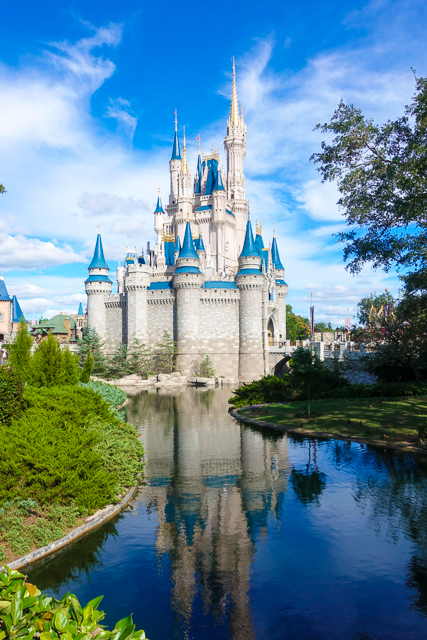 The "leading lady", Cinderella's Castle, is 189 feet tall. At the time it was built, the building regulations limited height of buildings to 190 feet. The regulations are now 200 feet. 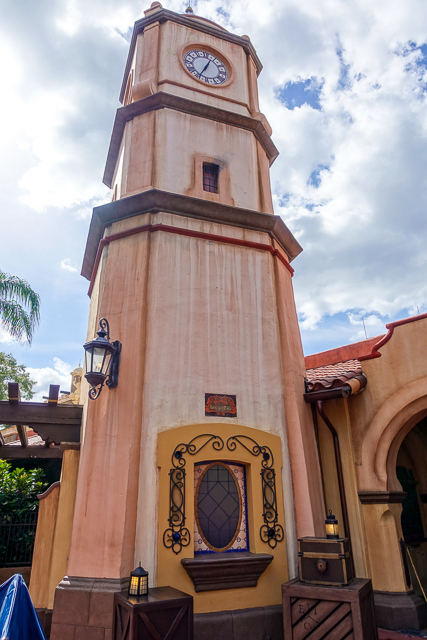 The Tower of Terror is 199 feet tall and Everest is 199.5 feet tall. 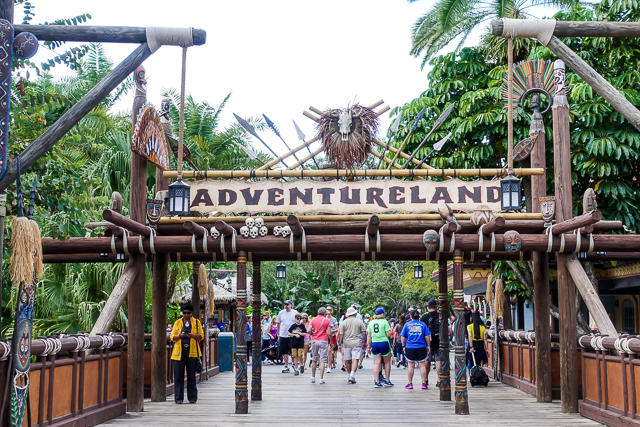 You can't see the castle from the Adventureland entrance. You can't see the castle when you turnaround because there are no castles in the jungle! Part of the tour was a guided tour through the jungle. 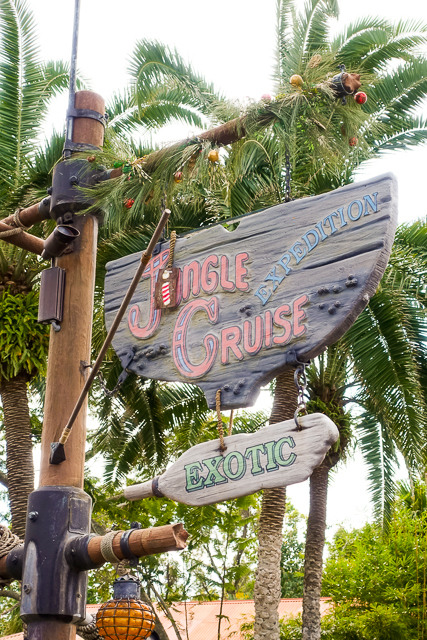 There are 1,360 riders per hour on the Jungle Cruise. When Disney World first opened you had to buy tickets to ride the rides. There are still some of the original booths in the park. 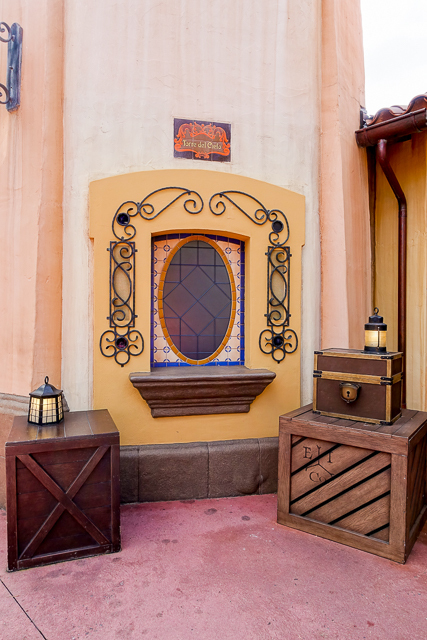 This one is right next to the entrance to Pirates of the Caribbean. Lunch was included with the tour. 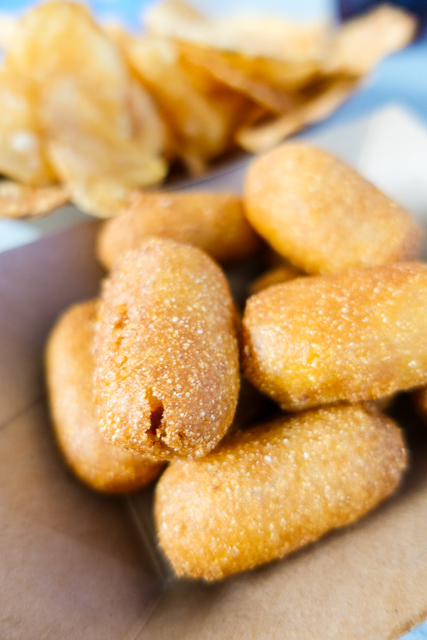 I got the Corn Dog Bites - YUM! 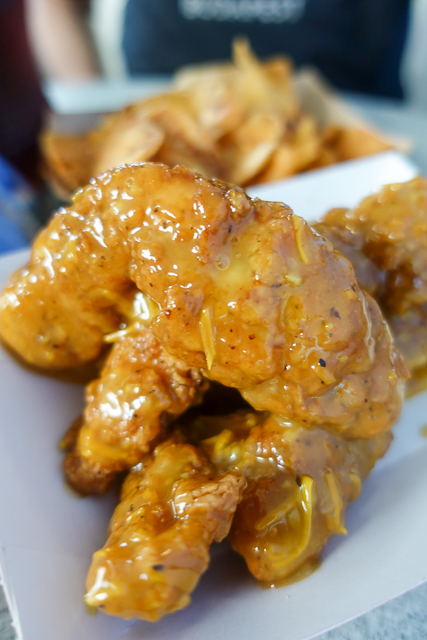 Chicken Legs got the Cheddar Garlic Chicken Tenders - delicious! Did you know that french fries aren't allowed to sit for longer than two minutes! They almost never throw any away! They said that they actually ran out of fries last New Year's Eve - tragic! We also got to ride the Haunted Mansion on the tour. My FAVORITE! We got to go in the side entrance - SO COOL! The ride is 7 minutes long, there are 2 to 3 people/car and 160 doom buggies total. That is a lot of people! The busts in the mansion are of the group The Merry Makers. Thurl Ravenscroft (voice of Tony the Tiger and sings You're a Mean One Mr. Grinch) is the voice that talks to you during the ride and is one of the singing busts you see on the ride. 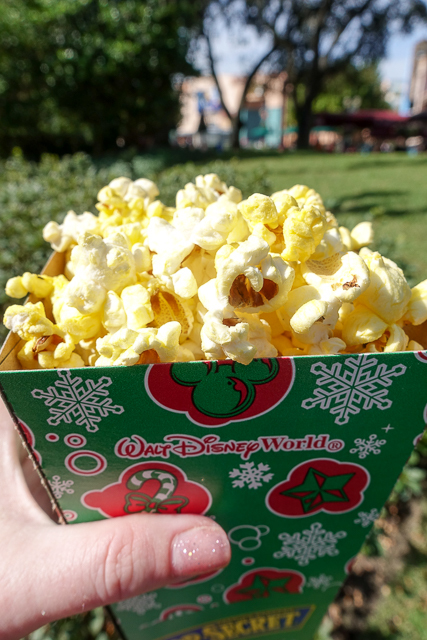 Did you know that the profits from popcorn sales pay for the daily fireworks? They won't say how much that is, but it is about the cost of a Toyota Corolla! Totally worth buying the popcorn! They sucker you in by piping in that amazing butter smell! This is true, the aroma of freshly popped corn is always in the air so you just have to have it. 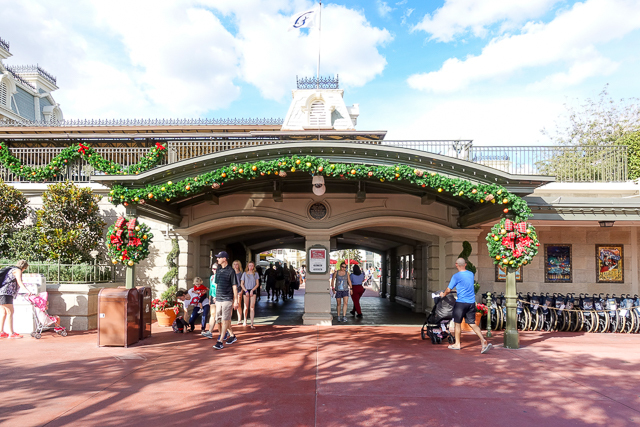 There are about 7,000 people that work at Magic Kingdom. They work 24 hours a day. The tour also included a walk down underneath the park to the the tunnels below, known as “Utilidors". 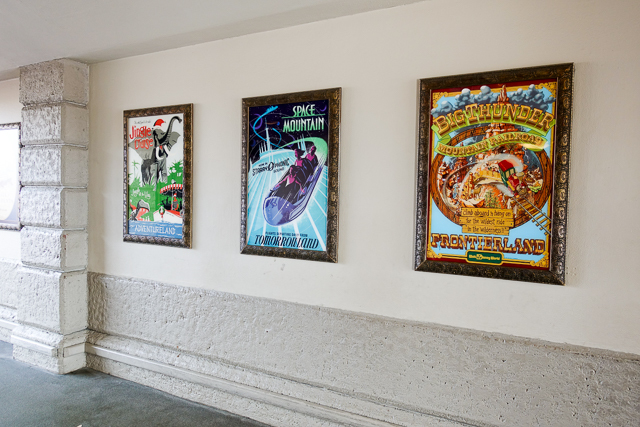 The tunnels allow Cast Members, deliveries and even garbage to be unknowingly transported below Guests’ feet as they wait in line for their favorite attractions. It was worth the price of the tour to get to see them! I know I forgot lots of the things our guide told us, but hopefully you learned a few fun tidbits about the park. I would most definitely do the tour again. I imagine that you would get different information each time you did the tour. The tour sounds fun, but I do wish they'd consider adding a family friendly version for people with children still. Those chicken tenders look so good! I doubt it. They want to keep the magic alive for the little ones. We did the tour many years ago - it was amazing. For those with kids we hired a babysitter for the kids thru Disney. Everyone had fun ! Thanks for the babysitter tip, Mary! Love this! We are headed there in November with our two kids and my parents. It will be my husband and my kid's first time and my first time since I was about 7. I think we are going back in November too. The weather is perfect then. Have fun!!! Okay, this is the coolest little factoid post ever! I LOVE stuff like this -- I mean, I LOVE your recipes...but this is like doubly-fantastical! :) I'm a huge Disney freak... had to cancel our trip last year but was SO glad we did -- we would have been there during the HURRICANE! BOO ON THAT! GREAT post! Thanks for the insights. My husband got to go down in the tunnels in 2008, he was the band director/music teacher of a high school in NWI Indiana that got to play at "Cosmic Ray's Starlight Cafe" The stage comes up from the Utilidors/tunnel level, while Sonny Eclipse ends up in the ceiling. I would love to any of those tours Disney offers. Maybe some day! Also, I love your recipes!!! Cool information! My husband worked at Disney some when he was in high school and said it was so much fun! We are headed there this spring and already have reservations for the tour. I was just wondering where you had lunch during your tour? Thank you for all of the information. Lunch was provided. I think the location varies. We ate in Tomorrowland. We picked out entree when we checked into the tour.